I arrived at Marseille at March 2018. Since my first days at Marseille, I did not feel that I am a stranger. As Marseille is a famous touristic destination, and due to the presence of international universities and research centres on the city, the people of the city are used to dealing with people from different nationalities. 2 days after arriving, I started my work at Institut Fresnel; an institute gathering researchers and PhD students from Aix Marseille University, CNRS, and Ecole Centrale Marseille @CentraleMars, which is the school that I am affiliated with. The scope of the work on Insittut Fresnel covers areas including electromagnetism, nanophotonics, and information processing. 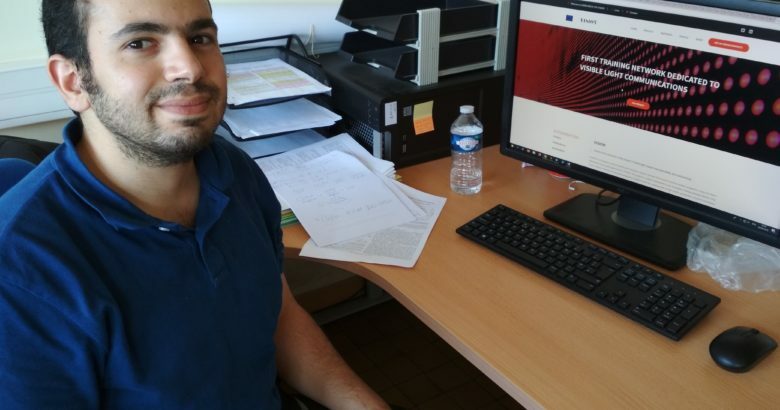 Thanks to the help of Dr. Ali Khalighi and my colleagues at Institut Fresnel, I worked in a friendly work environment since my first working day. Within 1 month of starting my research in #MSCA #H2020 @VisionITN at Institut Fresnel in the area of Indoor Multiuser VLC systems, I started working on my first poster, which I presented along with other posters and talks presented by the PhD students at Institut Fresnel, at the event “PhD Days (JDD)” this summer.